Then of course, just pour a little bit of cream on top, but it should be enough to make the drink rise just a little bit – say about 2 teaspoons worth. 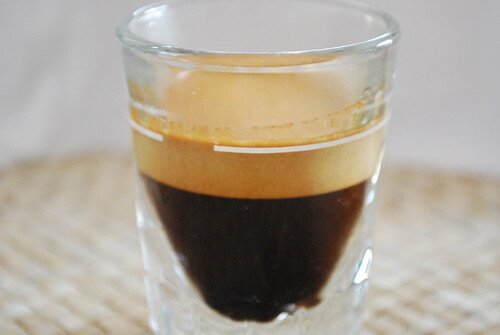 In the picture below, this is more evident, as I used an espresso shot glass, which when extracting a single espresso should rise to the line, but there was enough cream to just push it above the line. This adventure just wasn’t about the taste, but about the art of coffee, because I really wanted to see how the colours would display with a shot of cream poured inside an espresso crema – would the crema disappear, or would it rise to the top like real cream is supposed to, and so there was a bit of the scientific too. Just look at all those colours. 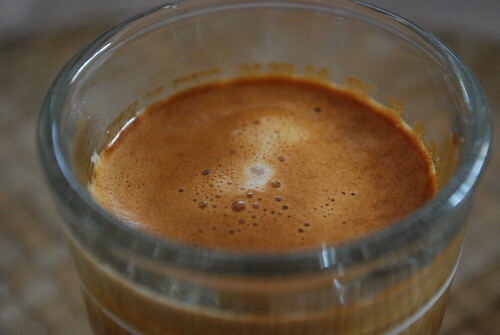 On taste, I was correct, the sweetness in the espresso was enhanced, making it a truly tasty experience. So next time, break with the conventional and try something different. Is this progress with drinking espresso ? I don’t know but just one more time, say PROGRESSO like an Italian would. 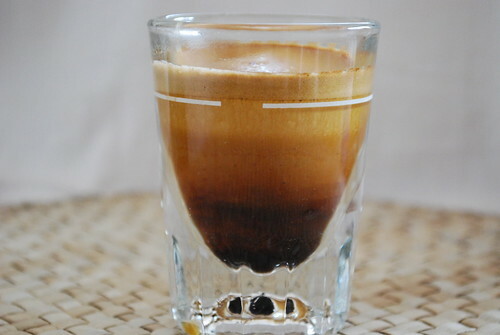 This entry was posted on Tuesday, September 29th, 2009 at 12:33 pm	and tagged with arabica, cream, crema, espresso, espresso cream, progresso, Square Mile Coffee Roasters and posted in Bean Talk - Coffees, Coffee Recipes, The Art of Coffee. You can follow any responses to this entry through the RSS 2.0 feed.